Grace Bible College has a rich heritage of godly leadership. In its seventy-five year history, five men have served faithfully as the president of this institution. You may read the biographies of the previous presidents below. Charles Baker grew up under the preaching of C.I. Scofield. His commitment to a godly life based on the Word of God was evident to all who knew him. In his youth he developed a love for engineering and radio. He graduated from Wheaton College and received his Master of Theology Degree from Dallas Theological Seminary. His love for radio brought him to North Shore Church in Chicago where he worked under Pastor J.C. O’Hair and ran the church’s radio station. It was from North Shore Church that he became the first pastor of Fundamental Bible Church in Milwaukee in 1932. As a pastor he promoted missions in the church from its inception, and the church, now renamed Grace Bible Church of West Allis, WI, continues as a strong missions-minded church. Pastor Baker was a great teacher of the Word of God from a dispensational perspective. In January 1939, he and a number of fellow grace pastors and church leaders founded the Worldwide Grace Testimony Missions (now Grace Ministries International). He was appointed secretary of the board, a position that he held for over 25 years. He was also editor of the mission magazine and eventually of Truth magazine. Charles Baker’s strong commitment to teaching the Word of God and training men and women to serve God in the local church led him to begin Milwaukee Bible Institute (MBI) as an evening school. Along with his wife Theresa and several fellow-pastors, he taught classes at the Fundamental Bible Church. MBI was part of the Bible Institute Movement that began in the late 1800s with well-known schools such as Moody Bible Institute and the Bible Institute of Los Angeles (BIOLA). Most of these Bible Institutes later became Bible colleges. When the Grace Gospel Fellowship was founded in 1943 by a group of grace pastors, one of the first items of business was to ask Pastor Baker to head up the project of making Milwaukee Bible Institute a day school for the purpose of training pastors, missionaries and church workers. This change took place in 1945 with classes being held at the Fundamental Bible Church. Several buildings were purchased for use as dormitories. In the late 1940s the property on 3001 State Street was purchased. On the property was located the “Tower House” which housed the school offices, library and one classroom. A second building was built on the campus to accommodate two classrooms, a bookstore, and kitchen. The Fundamental Bible Church constructed a new building next to the school campus in 1950. The church graciously allowed the college to hold its chapel services and some of its classes in their Sunday School rooms. President Baker was not satisfied with keeping Milwaukee Bible Institute as a three-year Bible school. His vision was to see the school become a four-year Bible college. This change took place in 1953 and the school was renamed Milwaukee Bible College. In 1954 a three-story dormitory was constructed in time for use in January 1955. One the biggest decisions that President Baker and the college board faced was the sale of the property in Milwaukee and the subsequent move to Grand Rapids, Michigan. The move to Grand Rapids took place in time for the fall classes of 1961. Milwaukee Bible College then became Grace Bible College. 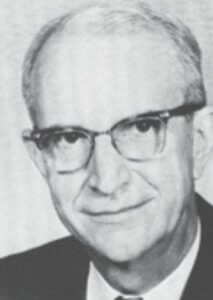 Dr. Jack T. Dean served as President of Grace Bible College from 1965 through 1985, and was an instrumental leader in the history of the College. 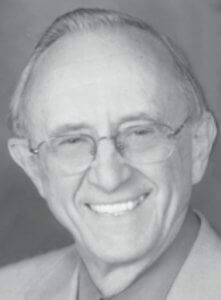 Dr. Jack graduated from Milwaukee Bible Institute in 1952. He subsequently earned a BA and MA from Long Beach State College. In 1955, he became a faculty member at MBI. 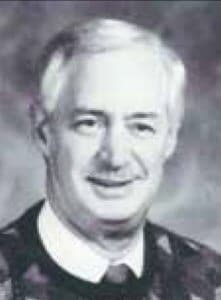 In 1961, he earned his BTh degree from Milwaukee Bible College, and earned his PhD in Pastoral Counseling from Michigan State University in 1967. During his tenure at Grace Bible College, he served as Director of Christian Service, Dean of Students, Dean of Faculty, Acting President, and President of the College. 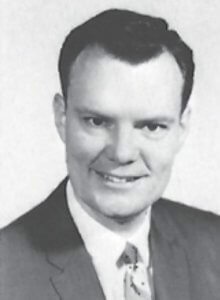 He also served as a leader in many para-church and church organizations, including the Grace Gospel Fellowship, the Christian Association for Psychological Studies, and several pastoral positions. During Jack’s presidency, he desired to see the school accredited and recognized as a quality educational institution. When the College made the move to Grand Rapids, he was instrumental in expanding the campus to include married student housing facilities, enlarging the library, as well as adding an athletic center, music building, and a chapel. Dr. Sam Vinton, Jr. was born and raised in Congo, Africa, where his parents, Rev. Samuel and Marie Vinton, served 76 and 54 years respectively. After graduating from Grace Bible College in 1955 and being ordained to the ministry by the Grace Gospel Fellowship, he and Rebecca Stringfellow were married on June 11 and five months later left for Congo where they served for 21 years. Their son, Bill, who is now a missionary with his family in Congo, was born in 1956 and their daughter, Debbie, in 1958. His primary ministries in Congo were the training of Congolese pastors, writing textbooks, and heading up the Swahili Bible Translation Committee. From 1961 until 1976, he was the field director of the Congo field. In 1976 the family moved to Grand Rapids, MI, where Dr. Vinton taught Missions and Theology at Grace Bible College for 14 years. He was academic dean for two years and then president for five years before assuming his position as executive director of Grace Ministries International in 1990. While teaching at Grace Bible College, he earned two master’s degrees from Grand Rapids Theological Seminary and a doctorate in missiology from Trinity Evangelical Divinity School. He continues as an adjunct professor at Grace and is also a professor in the “Perspectives on the World Christian Movement” program. Dr. Vinton has preached and taught church leaders in 14 different countries. He retired from his position as executive director of GMI in 2012. Prior to his time at Grace Bible College, E. Bruce Kemper spent 32 years serving in church ministries in Washington and California. A native of California, Bruce came to the Midwest in 1955, attended Moody Bible Institute. In 1958, he graduated from MBI, and married Judi Wardell. They moved to Seattle, Washington so Bruce could continue his education at Seattle Pacific College. He served as a Christian education and youth leader at Emmanuel Tabernacle in Seattle, Washington, and pastored several churches, including Berean Bible Church of Spokane, Washington; Grace Bible Church of Anaheim, California, and Grace Bible Church of Port Orchard, Washington. Bruce and Judi have a daughter, Kathy, and three sons, Keith, Kenneth, and Kris, all of whom attended Grace Bible College.